Tax, Title, Tags, & $385 for dealer administration fee not included in vehicle prices shown and must be paid by the purchaser. While great effort is made to ensure the accuracy of the information on this site, errors do occur so please verify information with a customer service rep. This is easily done by calling us at 603-484-8163 or by visiting us at the dealership. 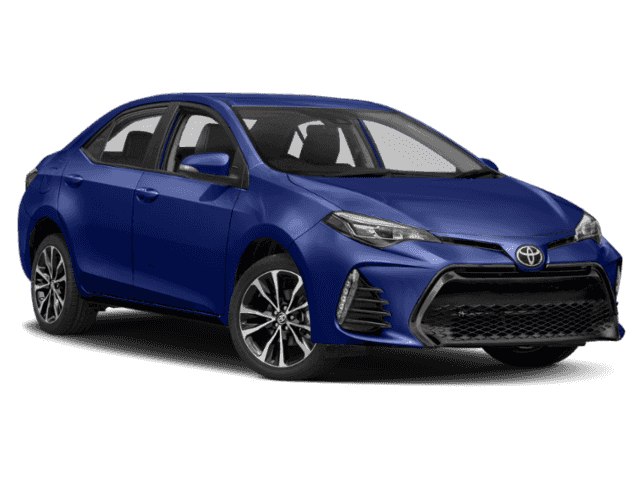 MECHANICAL & PERFORMANCE 1.8L 4-cyl DOHC 16-Valve Dual VVT-i Continuously Variable Transmission Sport Drive Mode Front and Rear Disc Brakes 17-in Machined Alloy Wheels w/ Black Painted Accents & P215/45R17 Tires SAFETY & CONVENIENCE Toyota Safety Sense-P: Pre-Collision Sys w/Pedestrian Detection, Dynamic Radar Cruise Control, Lane Departure Alert w/ Steering Assist, Automatic High Beams Star Safety System Includes: VSC, TRAC, Anti-lock Brake System, EBD, Brake Assist & Smart Stop Technology 8 Airbags: Dr & Fr Pass Adv Airbag Sys, Dr & Fr Pass Seat-Mounted Side Airbags, Dr Knee Airbag, Pass Seat Cushion Airbag Front & Rear Side Curtain Airbags LATCH (Lwr Anchors&Tethers for CHildren) Whiplash-Injury Lessening Front Seats EXTERIOR Multi-LED Headlights w/LED Accent Lights LED Daytime Running Lights In Bumper Color-Keyed Heated Power Outside Mirrors with Integrated Turn Signal Indicators Rear Spoiler INTERIOR SofTex-Trimmed Fr Sport Seats w/Premium Fabric Inserts W/6-Way Adjust Dr Seat 4-Way Adjustable Passenger Seat Entune Audio w/6.1 Touch-screen incl Entune Multimedia Bundle (AUX/USB/BT/ Adv Voice Recognition), Siri Eyes Free 4.2-in Color TFT Multi-Info Display Integrated Backup Camera w/Projected Pth Leather-wrapped Steering Wheel w/ Audio & Hands-free Phone Voice Command Cntrls Steering Wheel Mounted Paddle Shifters Auto Climate Control w/ Pollen Filter and Push Button Controls Remote Keyless Entry System, Corolla SE, 4D Sedan, Falcon Gray Metallic, Black Cloth. 28/35 City/Highway MPG** Here at Rockingham Toyota we believe that our customers appreciate pricing that only includes standard rebates (those that everyone qualifies for). Please understand that there may be additional rebates which you could be entitled to and receive! Contact us to confirm availability and pricing! **Here at Rockingham Toyota We take our Internet Business Very Seriously!Shopping at Rockingham Toyota is car buying the way it should be; Fun, Informative, and Fair! Here are our promises:* Transparent Pricing and Sales Process- No Gimmicks!! *Pressure Free , Efficient, Friendly, and Helpful Sales Staff! *In House Team of Loan and Lease Specialists! They are Good with Numbers, and Even Better with People! Credit Challenged? Give us a try! * Massive Inventory For One Stop Shopping! * Certified Factory Service Technicians!Rockingham Toyota, Holds the Dealer Rater 2018 Toyota Dealer of the Year Award! In Addition Check Out Our Google Reviews at 4.8 stars - Highest in the Area North of Boston. Rockingham Toyota opened in 1985 with Emmett Horgan and a small team of dedicated employees. Rockingham is a family owned and operated dealership with Emmett’s son Ryan Horgan now involved in the day to day operations. 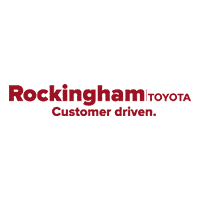 Rockingham offers a large new vehicle inventory, pre-owned vehicle inventory, rotating lease offers, Genuine Toyota Parts, and service specials in their state of the art Toyota Service department.